32441 PER1518.jpg 500X638\PER1518.jpg 32442 PER1518_1.jpg 500X638\PER1518_1.jpg Send A Hint! Product Description: less text Spoil mom with a loving gift that she can display with pride. 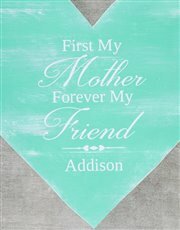 A wooden heart (50 x 38cm) is hand crafted with a unique 'First my mother forever my friend' design, which is personalised with a name for that special touch. Send now! *Artwork may differ slightly from image due to it being handcrafted. 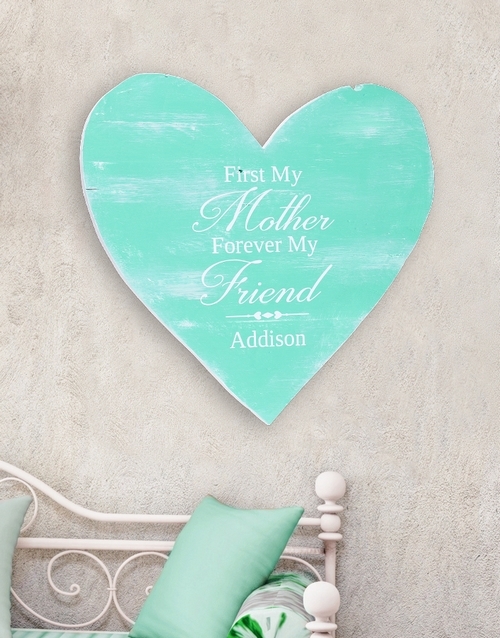 Get this Personalised Mom Forever Wooden Heart delivered with NetFlorist.